Casey Popp is a 22-year-old who needed to find additional funding to pay for college for his sophomore year. He had some scholarships and student loans as everyone else does. He also had a generous amount of financial support from his parents. However, during the economic downturn in 2008, his family’s finances took a major hit and he needed to find another way to fill in the funding gap. Roughly a third of the amount that Popp borrowed was through the ISA program. He completed his bachelor’s degree from Purdue University—West Lafayette in Indiana and used the school’s income share agreement to finance his education. With federal student loan debt at $1.4 trillion and climbing, and college tuition continuing to rise out of reach of most students, college and university leaders are increasingly focused on identifying alternative college funding models that can reduce risk and improve affordability for students and graduates. Hence, the income share agreement, and it is gaining in popularity. Income Share Agreements (ISAs) enable students to finance their entire education or fill a gap in school financing by agreeing to make payments after graduation based on a percentage of their income for a set period. ISA’s are usually bankrolled through a school fund or investors, and the terms vary with each school. An income share agreement is a legally binding contract between a school and the student. Upon graduation, and when the student gets a job that meets minimum income guidelines, the student pays a percentage of their earnings for a fixed period regardless of the total amount of tuition owed. Typically, this repayment is between 3 to 4 percent of the student’s income for up to 10 years after they graduate, repayments are capped at 2.5 times the initial funding for the ISA. An ISA repayment rises, and falls based on students’ incomes during a prearranged period. 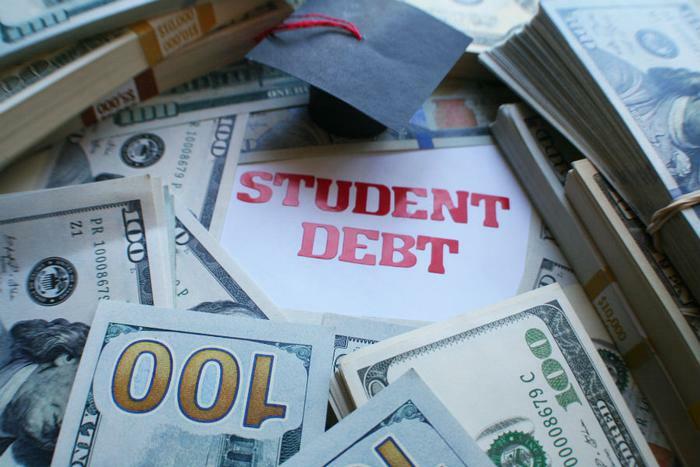 “Income share agreements are based on the premise that the cost of college should be based on a student’s potential, not her parents’ tax returns,” said Tonio DeSorrento, Co-Founder and CEO of Vemo Education. Vemo Education, an education technology company that helps colleges and universities develop, launch, and implement income share agreements and other income-based approaches to student finance. The main advantage of income share agreements is if a student is laid off their job, the student will not have to pay during the time they are not working. The student will also not be accruing interest as they would do with student loans. Once the student gets another job, they just resume their payments with the school. Another advantage of income share agreement is that it shifts the focus off worrying about how to pay for your education. If you choose to use an ISA to finance your entire education, you won’t have to pay any money up front. This allows the student to focus on learning rather than how they are going to pay for it. Income share agreements are different from the free college tuition for all that some liberal socialist politicians are peddling. With their plan, somebody else must pay a higher tuition for another student to attend for free. There is no such thing as a truly free lunch. With ISA’s, students can still calculate their ROI of their education because they have to payback out of their future income. Purdue University. It is called the Back a Boiler ISA Fund. However, only available to Purdue’s Sophomore, Junior and Senior level students. Messiah College. At Messiah College, students who opt for the school’s ISA will pay between 3 and 3.5 percent of their future income for a set period. Payments are waived if a graduate’s salary drops below $25,000 a year. Lackawanna College in Scranton, PA. Founded in 1894, Lackawanna College is a private, accredited, nonprofit institution focused on providing affordable pathways to careers in high-demand industries, such as allied health, business, criminal justice, and more. Norwich College, the oldest private military college announced in July 2018, a new income share agreement initiative aimed at improving affordability, student retention, and degree completion. In the fall 2018, Norwich undergraduate students will have the opportunity to opt-in to an innovative financing model in which they will pay reduced tuition in exchange for a set percentage of income after graduation over a set period. Clarkson University in Potsdam, NY. Their philosophy is “if you don’t make money, we don’t make money.” You must apply for a limited number of spots for the ISA program. After you graduate, you give Clarkson the agreed upon percentage of your salary for an agreed upon number of years. For example, students accessing $40,000 in LISA funding over four years will pay back 6.2% of their income for 10 years after graduation. Clarkson University even has a similar program for those students that do not want traditional 9-5 jobs upon graduation. For those that want to be entrepreneurs and create their own companies, they created the Young Entrepreneurs and Innovators Program. Students in the Young Entrepreneurs and Innovators Program attend without paying tuition, thanks to a combination of merit-based aid and a purchase by Clarkson of equity in their firms at fair market value. Point Loma Nazarene University. A Christian liberal arts college, Point Loma began offering some of its 4,500 students’ money to pay for college in exchange for a percentage of their future earnings. Lambda School. (Note: this is not an accredited school). It is a for profit company that offers courses in computer science. They charge a higher percentage of your future income once you get that high paying job. Having a physical disability or neurodiversity does not mean you cannot pursue your dreams of a college education. Erik Weber is a man who was diagnosed with autism at three years old, and recently graduated from law school and passed his bar exam on the first try. He is now practicing special needs law to help those with disabilities. It is success stories such as this one that should serve as inspiration for others. Also, not having the income should also not be a barrier, and that is where income share agreements can be beneficial to one’s success and pursuit of happiness.